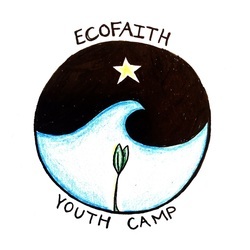 EcoFaith Youth Camp early registration deadline is April 1st! We had a fabulous, fun and faith-filled weekend at Cardia Deo last weekend! 200 senior high youth and adults gathered to learn about being SENT into the world to share the story of God's love everywhere, with everyone. I learned what my faith means to me and why it's important. I was really moved by the homelessness event. It really struck home and opened my eyes to the fact that there are people even at my school who I wouldn't expect to be homeless. The most meaningful part of my weekend was being told that I was sent and I now feel more prepared to go out in the world and share God's love. You can find more pictures on the NE MN Synod Facebook Group. We hope to see you there next year! NE MN Synod youth ministry teams will be doing some re-visioning work in the coming months in order to continue to support synod congregations in faith formation with middle school and high school youth. Your input in this process is invaluable! Leaders from all of our synod congregations are invited to fill out the survey. Whether your congregation is large or small, has a vibrant youth ministry program or if you wonder what youth look like - we need your story to have a complete picture! More than one leader from a congregation can take the survey - the more perspectives we have, the better! The survey closes April 6, 2016.
an educational offering for the entire Northeastern Minnesota Synod as we gear up to the 500th Anniversary of the Lutheran Reformation. "How the Heck Did We Get to the Reformation?" This guided day of planning will result in a 12-18 month outline for your youth ministry. Begin planning using three vital ministry lenses, learn from proven planning techniques, receive helpful program templates, and find plenty of time and space to work on your ministry design. Bring a team of adult and youth leaders, a laptop, and the "sacred dates" you need to plan around (school, community, church, even your own family!) Borrow, exchange, even steal!- ideas from other participants. Learn tools you and your leaders can use again and again. Workshop & meal are free for all Laurentian Conference congregations. Other churches are welcome: $25 if your church has one ministry professional, $50 if two, $75 if three (pastors, youth directors, etc), regardless of how many of you attend this workshop. RSVPs needed by Wed March 23. Fill out this Google Forms registration for you and your group. For more info, contact Pastor Evelyn Weston (eweston@luthersem.edu). $100 per person if postmarked by April 1st. includes all of creation and the life of Jesus, we live and tell our life stories. What story are you living? Where do you fit in God's story? The Discipleship Challenge Study Guide, "Living in Stories" is a helpful resource for leading conversations with various leaders and groups, to share our stories of faith and the gifts we share with each other.